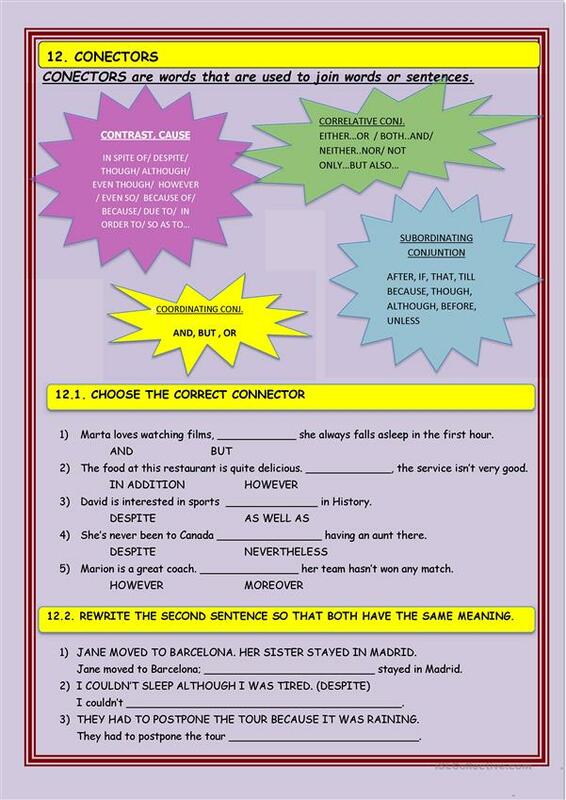 The last of the rephrasing worksheets. He you can find reporte speech and connectors exercises. As all of them... a bit of grammar and the rephrasing exercise. All with Key as usual. Hope you like them and find them useful. The above downloadable worksheet is intended for high school students, elementary school students and adults at Pre-intermediate (A2), Intermediate (B1) and Upper-intermediate (B2) level. 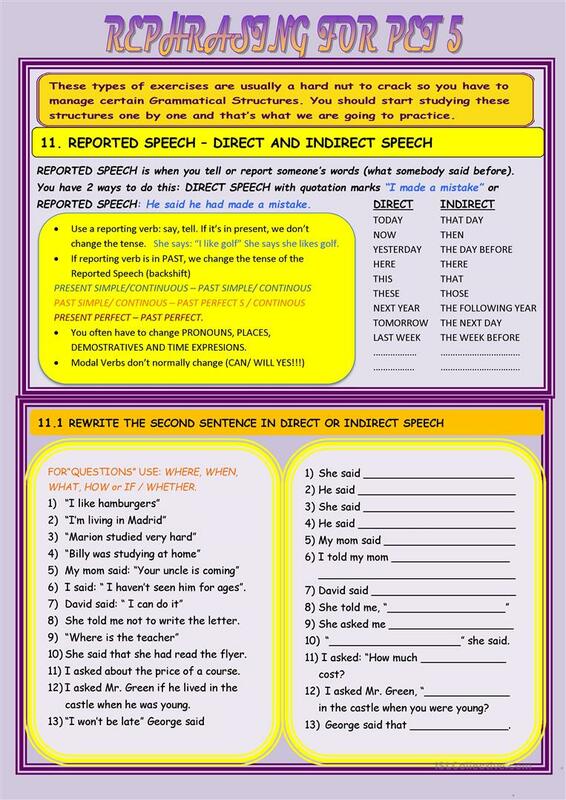 It is great for practising Reported Speech (Indirect speech) in English, and can be used for strengthening your students' Speaking, Reading and Writing skills. You will find the answer key at the end of the worksheet.